Every day billions of photos are being clicked on mobile phones, DSLRs, tablets etc. Photos are things which takes us back to the wonderful moments we spend in the vacation with our families. We click the number of pictures on all special occasions like the photos of kids birthday parties, family get-togethers, friends reunion, family vacation etc. Each and every photo is associated with tons of beautiful memories. Have you accidentally deleted photos from your Windows or Mac computer? Are you searching for the right solution to retrieve the deleted photos? You are at the right place! In this article, you’ll find the information about data recovery. You’ll also learn about some of the best photo recovery software which works most of the times. 1 What are the ways to recover deleted photos? 2 What are the features of Recoverit Data Recovery Software? 3 How to Recover Deleted Photos from Laptop using Recoverit? 4 How to Recover Deleted Photos from Android Device using Recoverit? What are the ways to recover deleted photos? The process for recovering the photos is different for the different platforms. For example, the possibility of getting the deleted photos back on your computer or laptop depends on a couple of things. The first and foremost thing you have to do is to check your recycle bin. If you are lucky enough, you may find them in your recycle bin itself. If you do not find the lost photos in recycle bin, then you may have to use the photo recovery software to retrieve the lost photos. Though there are tons of software online which claim that they can retrieve the deleted photos, only a few of them really works! Recoverit is one of the best software for recovering the deleted photos on your computer or smartphone. 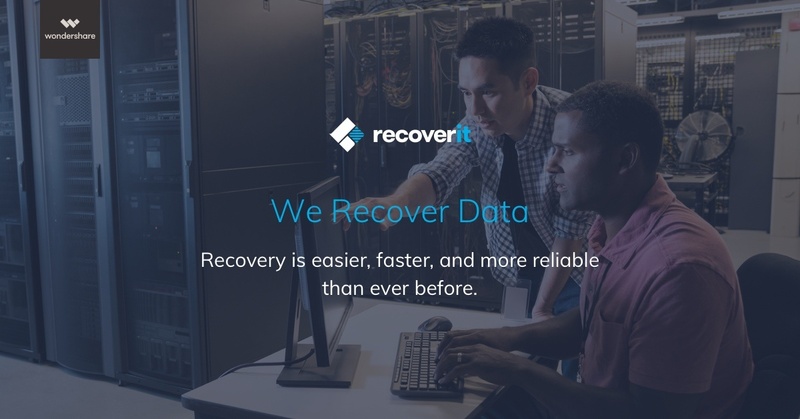 What are the features of Recoverit Data Recovery Software? Recoverit is a data recovery software. It helps you to recover deleted or lost photos, files, music, videos, audio or any kind files safely, efficiently and completely. It recovers data from hard drive, recycle bin, flash drive, memory card, camcorders and digital cameras. It works effectively when there is a sudden data loss caused due to hard drive corruption, format, system crash or a virus attack. How to Recover Deleted Photos from Laptop using Recoverit? Recoverit is probably the best software for photo recovery. It works on all the computer or laptop brands like Dell, Toshiba, ThinkPad, HP etc. The best thing about Recoverit is it works like charm for both Windows and Mac platforms. There is a trial version available online which you can try without paying a dime. 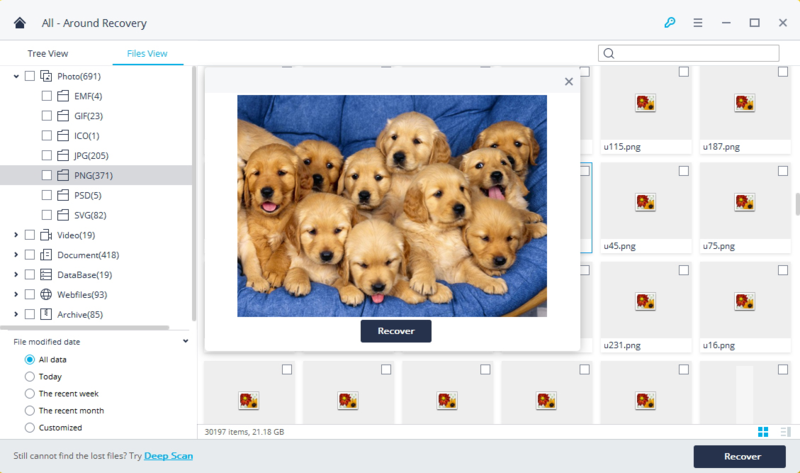 Recoverit Data Recovery software performs a scan on your laptop’s hard drive and tells you the information of what photos are possible to recover using it. Here are the instructions for recovering photos from a Windows laptop. It’s the same process even for the MacBook Pro and MacBook Air. 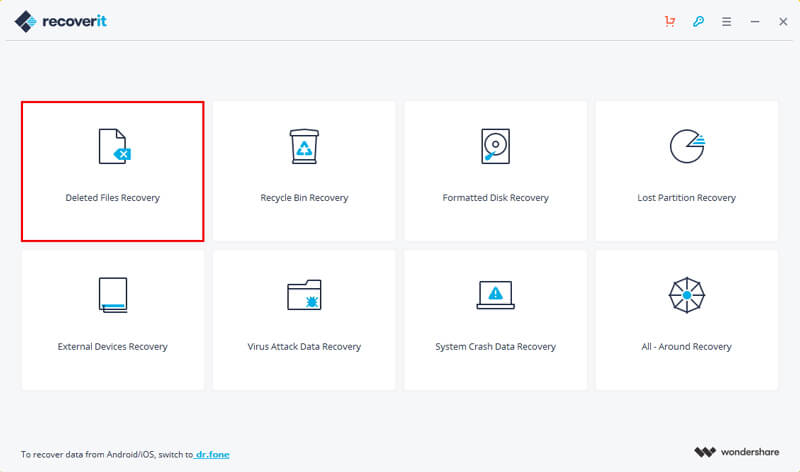 Step 1: Open the Recoverit Data Recovery Software on your computer. Then click on the Deleted Files Recovery from the recovery modes. Step 2: Select the drive from which you have lost the photos. Click on the Start button to let Recoverit software start scanning the lost data from that specific drive. Step 3: In the same way, you can scan all the drives to check the deleted files. Once the quick scan is done, check the preview section to see the information about the deleted files. 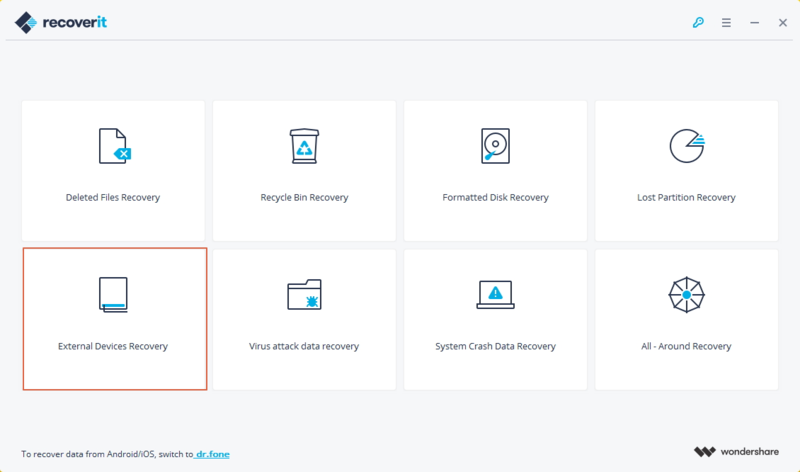 In case if you do not find the deleted files which are you are trying to recover, then select the All-Around Recovery mode and click on Scan button again. Also Checkout How to recover deleted emails from gmail? Quick Scan takes only a few seconds to scan your drive. All-Around Recovery mode will take more time and helps to trace out more files which are deleted on your laptop. Wait till the scan is completed. Step 4: Once the All-Around Recovery scan is done, you can see the preview of the files there. You can check the possibility for recovering the deleted photos. Just select the photos you want to recover and click on “Recover” button. That’s it! 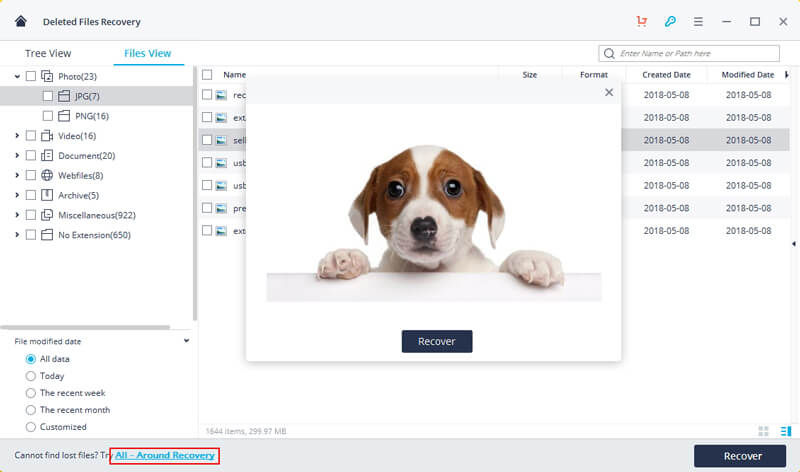 Recoverit recovers the photos you have selected in short time! Recoverit is a reliable software and it had successfully helped many Mac and Windows users to recover the lost photos on their laptops and desktop computers. How to Recover Deleted Photos from Android Device using Recoverit? Step 1: Install Recoverit software on your laptop or PC. Connect your Android phone to your laptop using a USB cable. Step 2: You can select the option called External Devices Recovery. 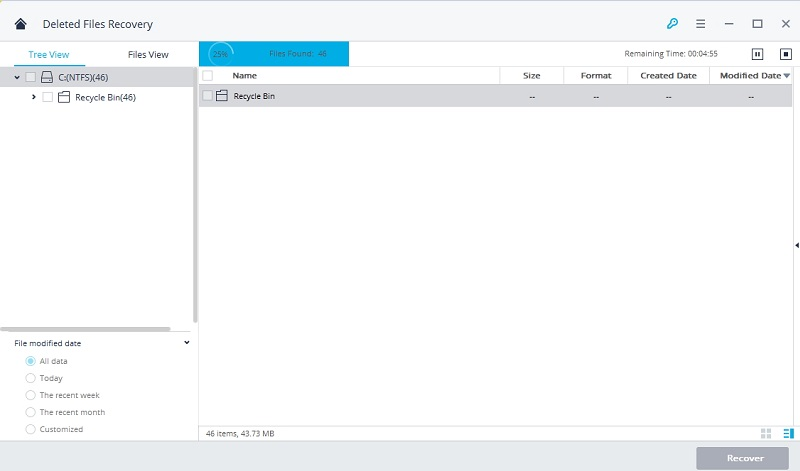 Step 3: In External Removable Device window, click on the Start button. It performs a quick scan which may last for few minutes. If you do not find the files in the quick scan report. Click on All-Around Recovery. Once the All-Around Recovery scan is completed, you can check the previews of the photos that are recovered as shown in the below picture. Select the photos you want to recover and click on Recover button to recover them on your computer. Note: Recoverit software works only if you Android phone is rooted. Make sure that your phone is rooted before trying to recover the deleted photos using Recoverit software.